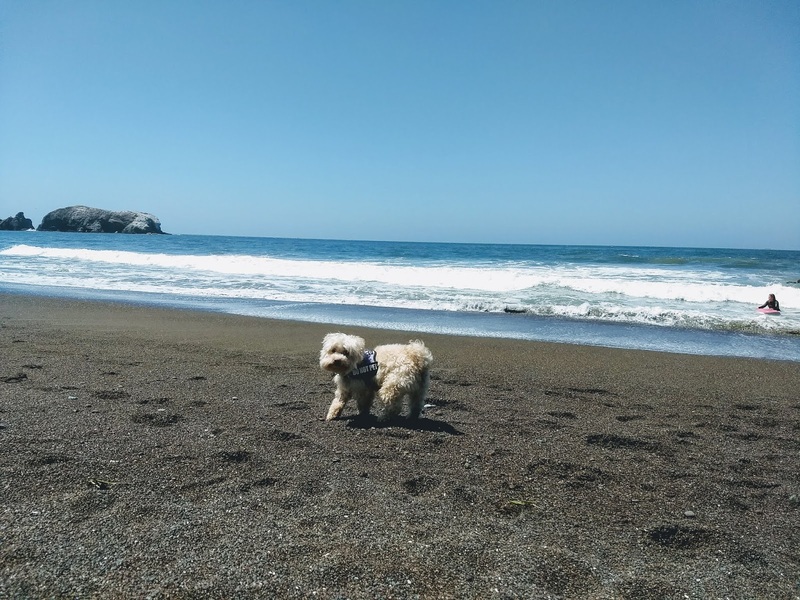 On December 25, 2015, we all went to Rodeo Beach. It was probably the last time Kelsey went on a hike, and we didn't go far with her bad hips. 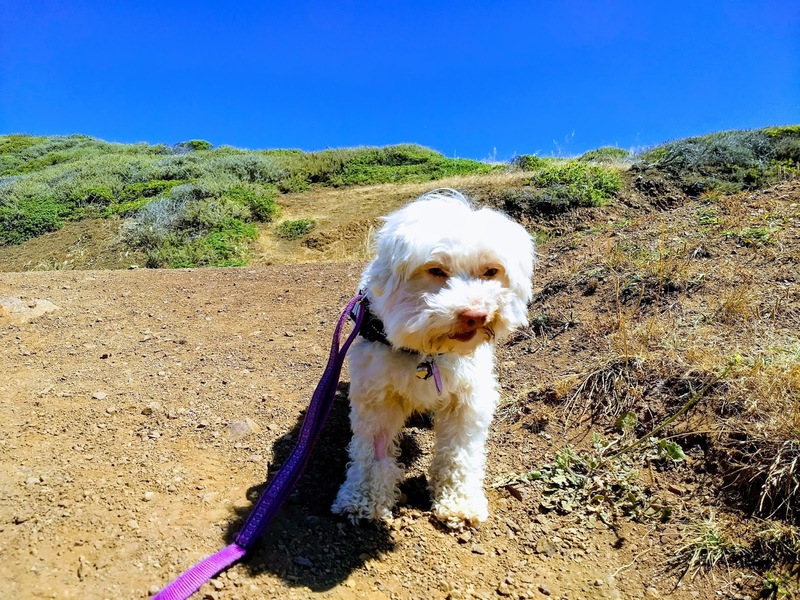 This morning, Cracus revisited Rodeo Beach in memory of Kelsey, who passed away yesterday. 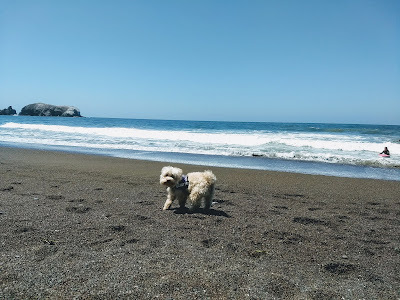 He roamed around on the beach next to the waves. We also hiked a bit further up the hill. It was getting pretty hot around noon. As we stopped to admire the view, I noticed a tick crawling in Cracus' hair! I frantically brushed it off after several tries. That was my queue to turn around. We went back to the beach again before heading back. 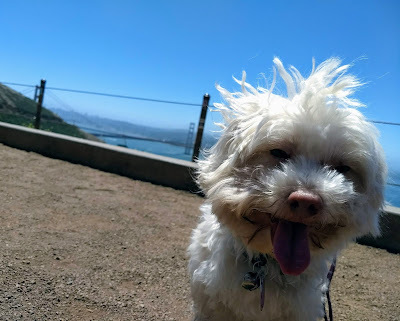 On the way back home, we stopped by one of the Golden Gate Bridge Vista Points. It was a nice day for photographs of the bridge. After we got home, Cracus had a bath to get rid of all the sand and make sure he had no other ticks on him. A couple months ago I got an "ice cream" maker from a neighbor. 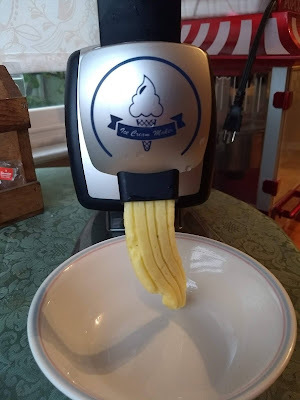 I was intrigued because it looked like I could just plug it in, put in frozen pieces of fruit, and ice cream would come out from it. The maker claims the result would have texture similar to ice cream. I have another ice cream maker that has an inside bowl that needs to be frozen prior to use, and I would need to prepare a list of ingredients in order to make ice cream. How could this new machine be so easy? I read some of the reviews, someone mentioned it takes a lot of force to push the frozen fruit down the machine. I looked at the parts and read the manual carefully. 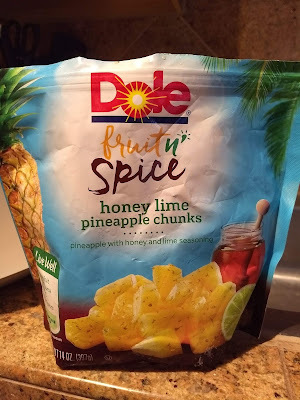 I thought before I get carried away, I would just use a bag of pre-packaged frozen pineapple chunks to test it out. According to the manual, the frozen fruit should be removed from the freezer for about 5 minutes before making the dessert in order to ensure a softer consistency. 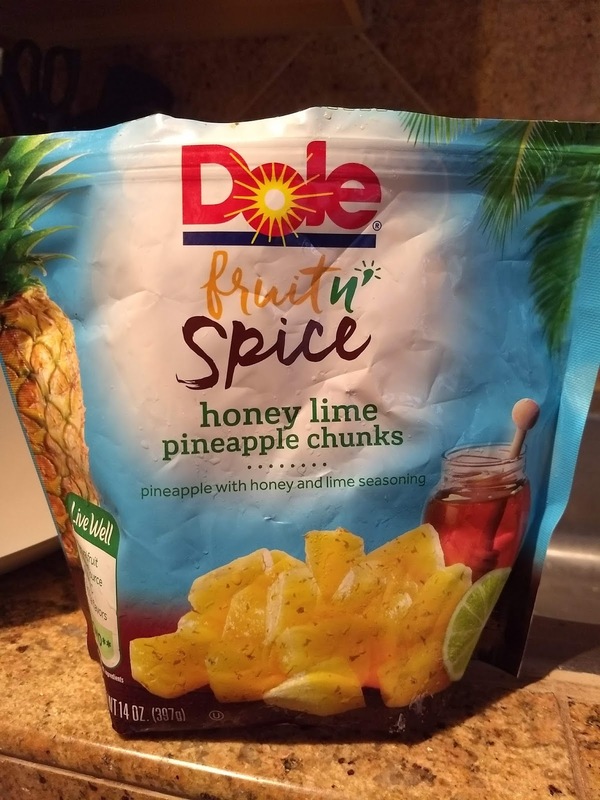 I let the bag of pineapple chunks sat for at least 5 minutes before pouring them into the opening on top of the machine. After I push the chunks all the way down with the plunger, a yellow ribbon of pineapple unfurls from underneath. It was like magic! I actually didn't need to use that much force. Since the machine is pretty light weight, I had to make sure that I did not push too hard. I think letting the frozen fruit sit out for a few minutes really helped. The consistency is however far from ice cream since there is no cream involved. I might be able to trick little kids into thinking this was ice cream but it's definitely not ice "cream". It's refreshing and fun to make. For lactose intolerant people, this is a good alternative to ice cream or frozen yogurt. For people who can't chew, this would be a good way to enjoy fresh fruits on hot days. 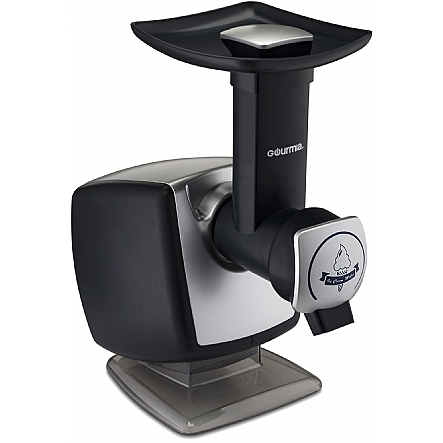 The machine is easy to take apart for cleaning. Since there is no cream, the parts just need to be rinsed off. No detergent needed.